52 percent of our respondents said that clinical outcomes were the area of biggest concern at their organization – meanwhile less half were even tracking clinical metrics. We asked Greg Mears, one of the webinar’s hosts and Medical Director at ZOLL, for some advice on managing clinical data – tracking, measuring and implementing changes – which our survey results made clear is a big challenge for many EMS organizations. Knowing that only 44% of respondents said they are currently tracking clinical metrics, why should tracking clinical outcomes be a priority? 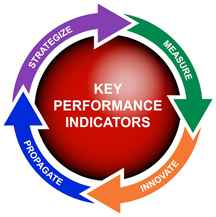 Key Performance Indicators (KPIs) are so important to the EMS industry. EMS is unique to the rest of the healthcare delivery system in that EMS is the only healthcare provider that acutely delivers/brings healthcare to the patient (as opposed to the patient going to the Emergency Department or Clinic). EMS should always focus on clinical outcomes, understanding that we cannot separate operations and healthcare delivery from clinical care. 22 percent of respondents said “lack of knowledge about what KPIs to measure” was their primary obstacle. Knowing this, what clinical KPIs would you recommend people start by tracking? How do you determine which ones are best / most important for your business? Sometimes we get confused and caught up in the terminology. What is the difference between a KPI and a clinical outcome? A KPI can be an operational or performance measure. A KPI may or may not be clinical in nature. A clinical outcome is always associated with the outcome of a patient. A KPI and clinical outcome are closely related but may not be directly connected to each other. 52 percent of EMS professionals who took ZOLL’s survey said clinical outcomes are their organization’s area of biggest concern. What advice do you have for doing a better job of tracking and managing clinical outcomes? It may seem stupid, but it is reality. The first step in managing clinical outcomes is the ability to measure clinical outcomes. The ability to obtain and collect clinical outcome data is the key to moving forward with any performance improvement or outcomes measurement process. We are improving but still have miles to go. How do you make sure the data you’re collecting is high-quality? Currently, there is significant variability across healthcare systems in their capacity to collect discrete clinical data elements that are timely, complete, and meaningful to the measurement of outcomes. The focus of an EMS outcomes initiative should initially center around time-dependent illness and injury. These are the STEMI’s, Stroke’s, Multisystem Trauma, Airway Management, and Cardiac Arrest. For these particular events, there are very small numbers, yet high mortality. In these cases, calls and emails can be used to obtain outcome information in the ePCR System. Clearly, we all want to automate this in the future, and that is our goal. However, current EHR and individual data element definitions do not provide enough detail. When the EMS System has entered this level of detail on outcomes, the analytics are much easier, benchmarking is impowered, and as an industry/system of care, we can move forward. 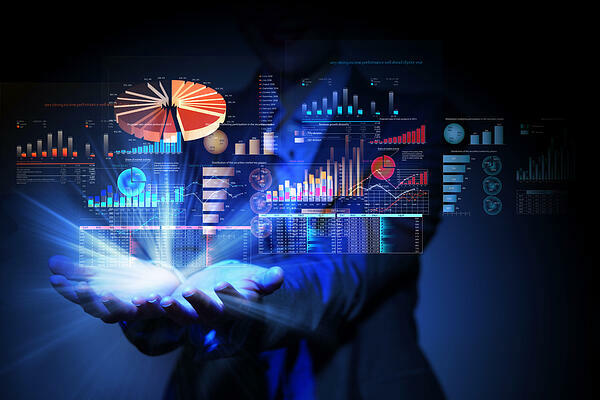 Considering only 5% of survey respondents said their organization is “excellent” at collecting and analyzing data – what should you do with clinical data once you have it? Operations and Clinical Care cannot be separated…focus on getting there in an appropriate time, identifying the issue, and providing the appropriate care. It is not the “What” but the “How.” Providing CPR is critical to outcomes but within the healthcare industry, providing continuous/quality CPR is much more important than just providing generic CPR. We don’t live/exist in isolation…for any organization or healthcare provider to excel, there needs to be a baseline. That baseline is determined by our history, experience, and peers…our benchmark. We can only move forward as a group and industry through objective comparisons and benchmarking…pushing each other.